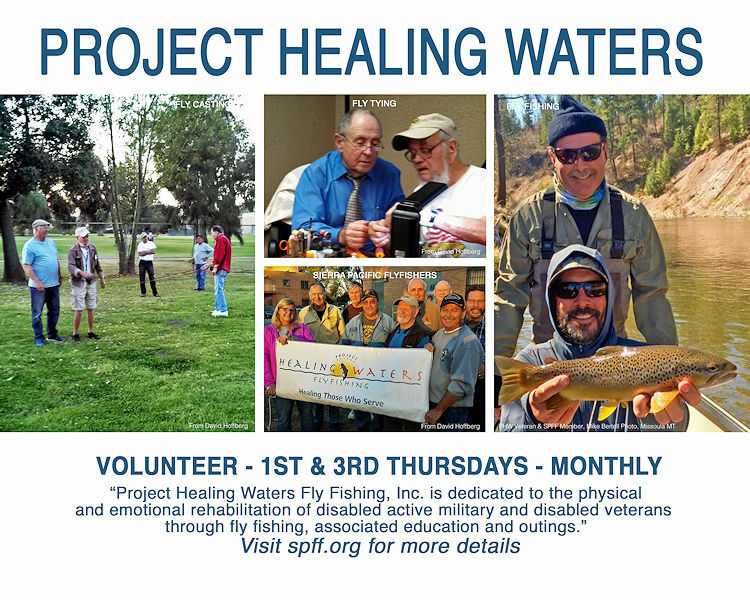 Become an SPFF Project Healing Waters Volunteer. Spend time with a Veteran and share the wonderful world of Fly Fishing. We teach fly casting, fly tying, show fishing videos from time to time, share fishing stories, go fishing occasionally, and always have a FUN TIME! Many of the Veterans have become SPFF club members and are enjoying attending SPFF monthly dinner meetings, learning to fly cast and tie flies, and are making new fly fishing friends.